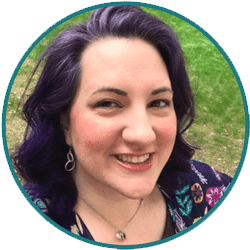 I love decorating for holidays but since holiday decor isn't something I keep up year round, I want it to be quick and easy! I don't want to spend all day making something fancy that I'll only look at for a few weeks. 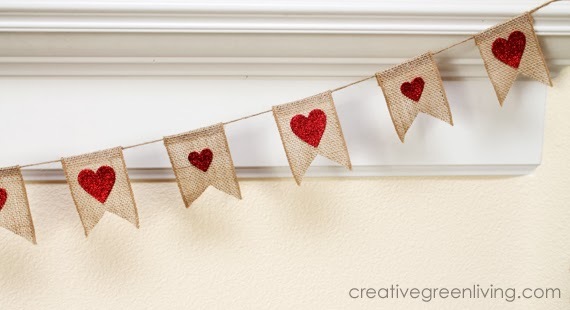 This cute burlap and glitter heart banner is not only super easy but it's affordable, too! I used a 50% off coupon to get ths roll of ribbon for only $4, a package of hearts were only $1 and I had the jute twine on hand already. Cut four inch long pieces of ribbon from the spool. Fold the ribbon in half "hot dog" style and cut out a notch to make the notched banner shape. Fold the top 1/2 inch of ribbon over to the back. Hang the pennant pieces on a long piece of jute twine, by resting the twine in the gutter created when the 1/2 inch tab was folded to the back. Using hot glue to secure. Be sure to work over a piece of wax paper or scrap cardboard, though, as the hot glue may sneak out the holes in the burlap! My bag of glitter hearts from the dollar store came with both pink and red foam hearts in two different sizes. 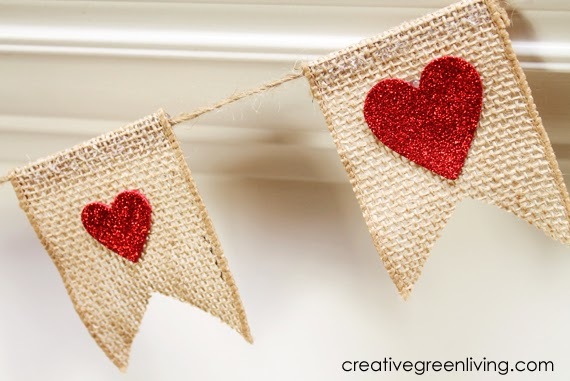 I chose to alternate large and small red hearts down the banner. 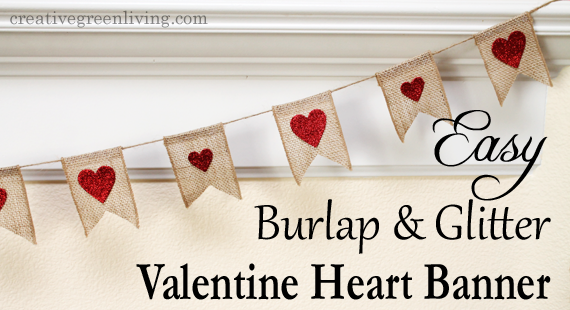 Secure the hearts to the burlap using hot glue. 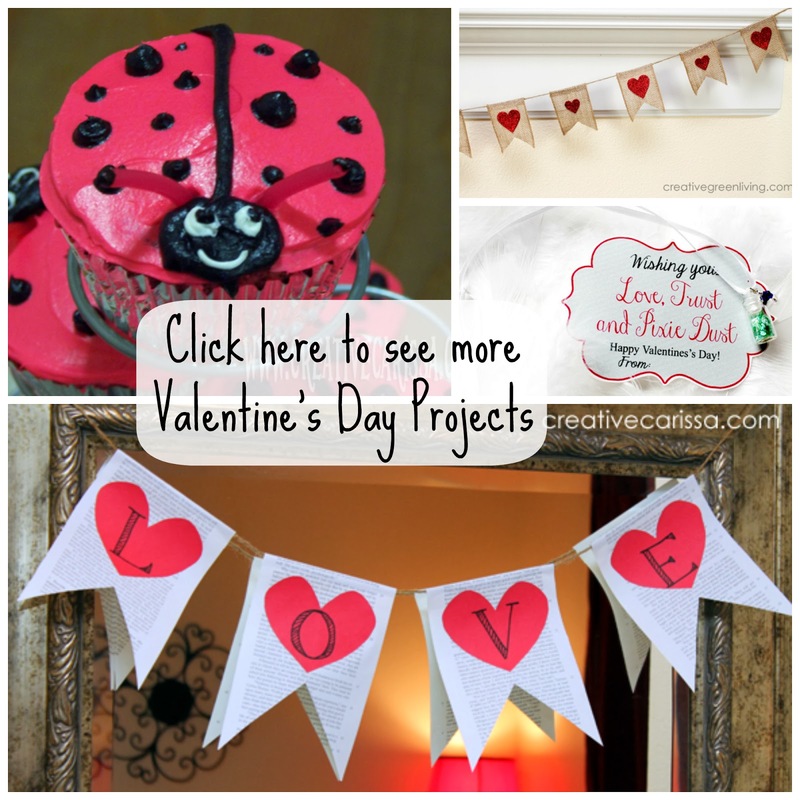 Nothing lie a super quick, super easy adorable Valentine's Day decoration! Hang your banner on your mantle, across a window or on a door. What a great idea using the wired ribbon!